Welcome to our website. 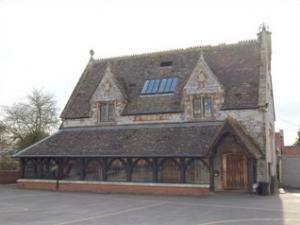 We are a small rural primary school for children from 4 to 11 years old, with a private nursery, Little Dragons, on site. by major access routes to the M5 and the city centre. We currently have 97 children on roll, split into 4 classes; Alps class for Reception and Year 1, Rockies class for Years 2 and 3, Himalayas class for Years 4 and 5 and Pyrenees class for Year 6. The school has strong links with the church and our Christian values underpin everything we do. We provide a caring, safe and stimulating environment. Each child is supported and encouraged to do their best and take part in a wide range of opportunities and experiences through a cross-curricular approach while building happy memories of their school days.